Looking for something to do while the kids are in school? CLPS is looking for food service substitutes! Flexible shifts (breakfast and/or lunch), 3 hour/day minimum, multiple locations, opportunity to hire in directly. Interested? Contact Theresa Elya at 586-510-2031. Bus Drivers and Substitute Teachers Needed! Center Line Public Schools is looking for CDL drivers who love children! Starting pay is $16.75/hour. We are also looking for substitute teachers at all levels - including building floaters. Come join our family! If you are in need of your Center Line High School transcript, please go to https://www.parchment.com/. During the school year (September 1 - June 15), you may also contact the high school counseling department secretary Melissa Thorsby at 586-510-2200 or thorsbym@clps.org. During the summer, you may contact our Director for Pupil Services, Sarah Ogden at 586-510-2043 or ogdens@clps.org. Please allow 5-7 working days for processing during the summer. School Threats: No Joking Matter! Parents: Please read the letter from Macomb County Prosecutor Eric Smith about the importance of speaking with your children about making false threats against schools. This isn't a joking matter, and "I was just joking" is not an excuse. Their futures could be at stake! Superintendent Kaltz shares an update of some of the things Center Line Public Schools has been doing this week to ensure our students' safety. School of Choice - NOW OPEN! Center Line Public Schools is currently open to limited School of Choice (Macomb County residents only)! The registration window closes on March 29, 2019 at 4:00pm. Go to https://www.clps.org/apps/pages/SchoolofChoice for the application and additional information. Due to inclement weather, Center Line Public Schools will be closed today, Tuesday, February 12, 2019. Please stay safe! 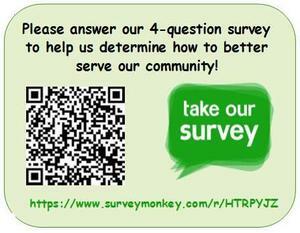 Please answer our 4-question survey to help us determine how to better serve our community! Center Line Public Schools will be closed today, Wednesday and Thursday, 1/30 and 1/31 due to predicted subzero temperatures. Be safe! Due to the extreme weather conditions, Center Line Public Schools will be closed on Monday, January 28th. Be safe!